Sure, Doctor Who might not be on TV an awful lot this year, but if you’re itching for a fix of new Doctor Who, Big Finish’s audio drama series is here to help. And thanks to them, now you can hear the triumphant return of the best Doctor/Companion duo of the modern era. 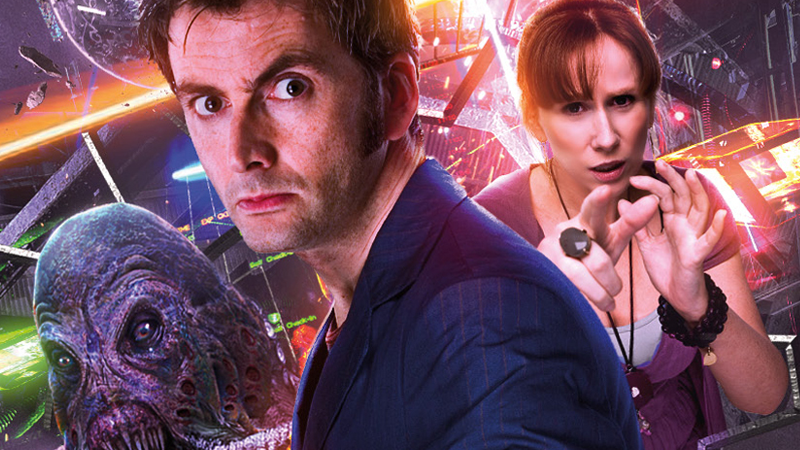 Yes, naturally, we’re talking about David Tennant and Catherine Tate’s 10th Doctor and Donna team. They’ve reprised their roles for the first time in ages for a series of audio dramas, due this May. We’ve heard a brief snippet previously, but now the Radio Times has a whole new trailer covering segments from all three of the brand new stories, and it’s a delight to hear these two back in action. It even answers the question of whether or not the TARDIS fizzles into existence or... whatever the hell that noise David Tennant makes is meant to be. It might not be quite the same as having new episodes with the Doctor and Donna, but it’s so good to hear these two together again. When it arrives in May, The Tenth Doctor Adventures, Volume One will feature three stories with Tenth and Donna: Technophobia, by Matt Fitton, Time Reaver, by Jenny Colgan, and Death and the Queen by James Goss.